Also, send your congratulations to my sister, Colette! IT’S HER 30TH BIRTHDAY! Congrats Sis!! “Skiing” he told me. Skiing. Just in case you didn’t know, Roland Emmerich’s 2012 wasn’t the best of movies. Actually, from a science perspective, it sucked. It sucked in so many ways that I can’t be bothered to list why it sucked (so have a read of my Discovery News review instead). Even though NASA agreed that Bruce Willis’ Armageddon was bad, it couldn’t compete with the scientific atrocities 2012 inflicted on its audience. The killer neutrinos, planetary alignment, crustal shift, geomagnetic reversal and super-duper-massive tsunamis proved too much. 2012 has even toppled The Core as worst sci-fi science movie. Now that is impressive. “On the opening weekend of 2012, the movie pulled in 65 million in U.S. ticket sales and an additional $160 million internationally, easily covering the $200+ million budget. Movies aren’t about scientific accuracy, and it would seem that the hype behind 2012 can stand alone as the biggest moneymaker of all. Thanks to @mars_stu and @RogerHighfield for the inspiration. EDIT: An earlier version of this blog post stated that the Science and Entertainment Exchange was involved with NASA’s decision to make 2012 “most scientifically flawed” movie in its list. I have received an email from the Exchange’s director that this is not the case. I have therefore edited any mention of the Exchange from the blog (even though my source, the Adelaide Now, still references the Exchange). Military “Black Ops” on Mars. Really? There’s a military operation on Mars! That’s according to the guy that runs the Farsight Institute anyway. Before we get bogged down with the details, let’s get one thing straight: remote viewing is not a scientific tool and has never been proven to work. It is pseudoscience. Sure, the U.S. military became interested in investigating remote viewing as a spying weapon (unsurprisingly, the superpowers were pretty keen on investigating every avenue to spy on the enemy during the Cold War), but funding was withdrawn in the 90’s as it was proven remote sensing was ineffective and any positive results could not be replicated. Most recently, the U.K.’s Ministry of Defence carried out a suite of experiments on a group of remote viewers to see how their brains reacted during the viewing phase. There appeared to be no measurable change in brain activity, and besides, none of the psychics tested could access the desired targets anyway, rendering the whole thing pointless. Take a look at the original Mars Global Surveyor images of the site. It might take a couple of minutes to find the area of interest, which isn’t surprising as it looks like the rest of Mars. But no, there is something of vast interest in this particular photo. It’s an industrial complex! On Mars! Not inhabited by those pesky aliens we’ve seen hanging out on the Martian surface, but by humans! Now the remote viewers have their targets, the Farsight Institute carried out some kind of experiment and Dr. Brown — a guy with a book to sell (where have we seen that before?) — discusses the astonishing results. In case you think I’ve eaten a funny-looking mushroom or been lobotomized by a trained hamster, this “evidence” for remote viewing is listed on the Farsight Institute’s webpages. I’m not making this up. In the Mars orbiter photo (above), a spraying fountain of some “liquid” (target 1a) can be seen. In fact, this is the whole reason why Brown has taken an interest in this region. “We wouldn’t be interested in these domes if it wasn’t for the spray,” he said, “but the spray really caught our attention.” This spray is being ejected by a mountain-shaped dome (target 1b) via a horizontal “pipe.” There is a shadow under the spray indicating it is being ejected at some height. There is also another “highly reflective” dome below the other dome (target 1c). “It looks like it’s made out of some kind of resin material,” Brown remarks. So, using their psychic powers, the military-grade remote viewers managed to access some fascinating details about the site — they even drew some vague scribbles of their visions. The artificial structures on Mars were originally built by ancient builders and the current occupants do not understand its technology. They need spare parts, but don’t have any. The mystery technology in operation generates power and there are intense flashing lights at the site. The occupants on site — of which there are more men than women — are despondent (because there are more men than women? Because no one knows they’re there? There’s no good coffee in the canteen? Just guessing). The occupants, assumed to be human, are in a lot of hardship and they aren’t allowed to return home. Apart from sounding like a sweat house scene ripped straight from an 18th Century Jane Austin novel, the very idea the U.S. military has some kind of black operation on the Red Planet is hilarious. But to single out one tiny region of the planet by pure chance (because Brown thinks he sees a pipe gushing water over the landscape) and creating a fantasy world using zero logical thought is amazing to me. The “gushing fluid” feature could be any one of a huge number of geological features. To me, it looks like a landslide; lighter material that has been dislodged, causing rubble to tumble down the slope. It could even be ice mixed in with regolith after an avalanche, ice crystals falling from the top of the mesa (a hill; not what Brown describes as anything man-made) scattering over the darker colored material further down the slope. The shadow Brown points to is not caused by this “spraying liquid” feature, it’s simply darker-colored material in the Martian soil. There goes that theory. As for the other suggestions of man-made structures… well, that’s just Brown’s vivid imagination. I’m finding it hard to see any man-made domes. They’re just hills. This crazy theory could be picked at for hours, but I’m still in amazement that people like Brown can discuss a subject like this with such conviction. There is overwhelming evidence that easily debunks the idea that there is an industrial complex on Aram Chaos. Unfortunately, for people peddling their pseudo-scientific ideas, common sense and logical thought seem to be concepts they have trouble grasping. Author Ian O'NeillPosted on August 1, 2010 Categories Conspiracies, Featured Articles, Humour, Mars, Pseudo-scienceTags Conspiracy, Crackpots, Mars, Mars colony, Military, Remote sensing18 Comments on Military “Black Ops” on Mars. Really? Was Voyager 2 Hijacked by Aliens? No. The Voyager 2 spacecraft has been speeding through the Solar System since 1977 and it’s seen a lot. Besides scooting past Jupiter, Saturn, Uranus and Neptune, the probe is now passing through the very limit of the heliosphere (called the heliopause) where it has begun to detect a magnetic field beyond the Solar System. The fact we have man-made objects exiting our star system is something that makes me goosebumpily. For some perspective, Voyager 2 is so far away from Earth that it takes nearly 13 hours for commands sent from Earth to reach the probe. After decades of travel, the NASA spacecraft continues to relay data back to us, making it one of the most profound and exciting space missions ever launched. Perhaps unsurprisingly, the aging explorer recently experienced a glitch and the data received by NASA was rather garbled. Naturally, the conspiracy theorists were out in force quickly pointing their sticky fingers at a possible encounter of the 3rd kind. How these ‘aliens’ found the probe in the first place and reprogrammed the transmission for it to appear corrupt Earth-side is beyond me, but according to an ‘expert’ in Germany, aliens (with an aptitude for reprogramming 30 year old Earth hardware, presumably) were obviously to blame. As I discussed in a recent CRI English radio debate with Beyond Beijing hosts Chris Gelken and Xu Qinduo, the Voyager-alien implication is beyond funny; an entertaining sideline to poke fun at while NASA worked out what actually went wrong. But the big difference was that Chris and Xu had invited Seth Shostak (from the SETI Institute) and Douglas C. Lin (from the Kavli Institute for Astronomy and Astrophysics at Peking University) to join the fun. No UFO expert in sight, so the discussion was biased toward science and logic, not crazy talk. 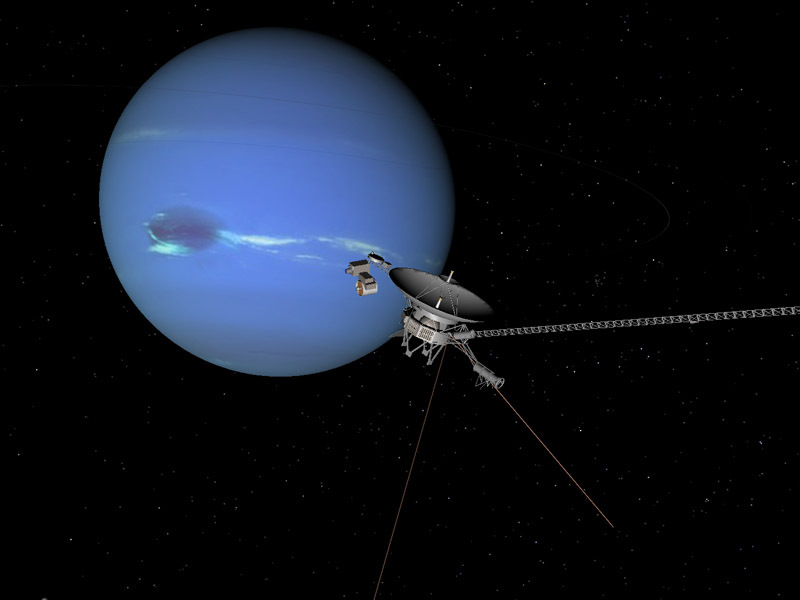 So what did happen to Voyager 2? It turns out that aliens are not required to answer this cosmic mystery. On Tuesday, NASA announced that Voyager 2 had flipped one of its bits of memory the wrong way. “A value in a single memory location was changed from a 0 to a 1,” said JPL’s Veronia McGregor. This glitch was thought to occur in the flight data system, which formats information for transmission to Earth. Should something go wonky in its memory allocation, the stuff it transmits can be turned into gibberish. Although it isn’t known how this single bit was flipped (and we may never know, as Voyager 2 is an awful long way from home), it sounds very much like a cosmic ray event interfering with the onboard electronics. As cosmic rays are highly energetic charged particles, they can penetrate deep into computer systems, causing an error in calculations. And this situation isn’t without precedent either. Recently, NASA’s Mars Reconnaissance Orbiter (MRO) was hit by a cosmic ray event, causing the onboard computer to switch to “safe mode.” Also, Voyager 2 is beginning to exit the Sun’s outermost sphere of influence, where turbulence and confused magnetic fields rule. If I had to guess, I’d say — statistically-speaking — the probe might have a greater chance of being hit by the most energetic cosmic rays from deep space. Just because something “mysterious” happens in space doesn’t mean aliens, the Illuminati or some half-baked doomsday phenomenon caused it. Before jumping to conclusions it would be nice if certain newspapers and UFO experts alike could look at the most likely explanation before pulling the alien card. Alas, I suspect that some things will never change. Author Ian O'NeillPosted on May 19, 2010 December 11, 2018 Categories Conspiracies, Discovery News, Featured Articles, NASA, Solar SystemTags Aliens, Conspiracies, Solar System, Space exploration, Telegraph, Voyager, Voyager 259 Comments on Was Voyager 2 Hijacked by Aliens? No. The mysterious cloud spiral that appeared over Norway at 7.50am on Wednesday morning took the internet by storm. 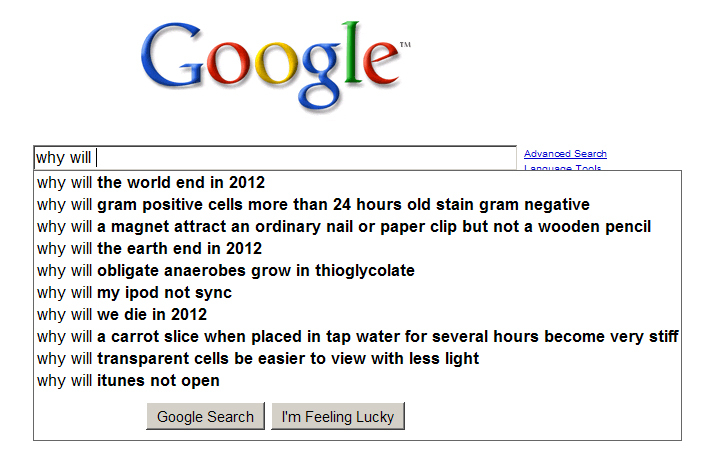 Every major news outlet was talking about it and Google Search was stuffed full of results. Like with any unexplained phenomenon, the knee-jerk reaction of conspiracy theorists (and tabloid press, naturally) was that the beautiful blue-white glowing spiral was either of UFO origin (no, not of the “unidentified kind”, but of the “probing-alien kind”), top secret “energy weapon” origin, LHC origin (yes, the Large Hadron Collider black holes are back) or some other supernatural origin. Well, it would appear that only one of those options are partially correct. All indications pointed to some kind of Russian naval military missile test (because, um, the Northern Fleet was carrying out missile tests in the White Sea at the time), and Doug Ellison, ace space 3D animator from UnmannedSpaceflight.com, put together a demo of how the missile scenario might have played out in the above animation. I was captivated by his first animation on the phenomenon that Nancy Atkinson presented in her Universe Today post on the subject, but this new animation shows how a failed rocket stage could spin out of control, spiraling fuel into the atmosphere. Although it might be tempting to rush to the extraterrestrial reasons for the spiral, it would appear the missile scenario is the most plausible answer. But… there’s a chance that it could have been a wormhole opening up from another universe, allowing the Annunaki to return to Earth ahead of their Planet X invasion force in 2012, but I’ll leave that theory for the doomsday wingnuts to mull over. Author Ian O'NeillPosted on November 12, 2009 October 18, 2012 Categories 2012, Featured ArticlesTags 2012, No Doomsday in 201214 Comments on Some Doomsday Crazy With That Google Search? Currently sitting in the departure lounge in LAX before I fly out to Washington D.C. to meet up with the Discovery News crew ahead of the launch of our brand new site (keep an eye on Discovery Space, it will soon be integrated into the Discovery News redesign — the beta version looks awesome). Before I fly, I just wanted to post the news that the Discovery Channel will be airing the documentary I was interviewed for by KPI Productions in August. According to my DVR, the show “Surviving 2012” will be showing on Sunday (Nov. 8th). I’m not certain when it will be showing internationally, but in the US it will be on at 9pm PDT — so check your local listings for any slight changes in schedule. I think it’s going to be a great show as science is the focus, not the hype (unlike the idiotic History Channel-esque Nostradamus nonsense). However, I think fellow interviewee Dr. Alex Young and myself arrived at a very interesting conclusion as to the realities of being hit by an aggressive solar storm. Although our conclusions are far from the rip-roaring, solar blowtorch popular in sci-fi, we do point out that solar physics research is horribly underfunded considering our dependence on vulnerable power and communications systems. In other news, on Tuesday night I attended the 2012 premier red carpet event in Downtown Los Angeles. I met some bloke named John and another called Roland. Apparently they’re quite famous, but what would I know. For more on my A-list adventures, have a read of “What Will John Cusack be Doing on Dec. 21, 2012? Skiing.” and check out some of the photos from the event via my Facebook account.